If you want to build large software systems Java is the Best Choice. Scala also similar to Java and Scala programs runs on Java Virtual Machines. In Scala compiled programs also run on any platforms. Scala programming language mainly used to builds high-level machine learning algorithms and capable of building robust systems. Python is most trending and highly recommended language for Data Engineers. Python is easygoing and flexible language. Python is open source and working with small to large datasets that stored in Big Data. Python is neural networking language so Python is fit for deals Neural Networking Hadoop Projects. Modern Applications like Pinterest and Instagram using Python. R is a statistical programming language for graphics. R is the favorite and recommended language for data scientists and big data engineers. R programming language ranked at 6th place in IEEE Top Ten Programming Languages. R Languages easily adapt with the user changing Needs. MATLAB is the must learn a language and used to working with matrixes, signal processing, Machine Learning and Image recognition. It is not an Open Source programming language but used in mathematical modeling. MATLAB programming language is good for Data Science tasks that involve matrix computations. Data Scientists runs compiled programs on another computer using MATLAB Component Runtime components but two computer apps must be the Same Version. GO is newly comes programming language and developed by Google. GO language is an open source language and derived from C. GO has not been developed by statistical computing but used to gained mainstream for data programming because of its speed. PigLatin is an open source and layer of Pig platform which is mainly used to create a MapReduce job and apply mathematical functions to large datasets. Like other newer languages, users can create functions in more established languages such as Python to carry out functions. SAS is the market leader programming language for commercial analytics. SAS gained more popularity Data Science community because it’s with user-friendly GUI which helps to learn SAS quickly for Data Engineers. But Hadoop developers don’t refer SAS programming because it’s more expensive than Python and R programming Languages. SAS is easy to learn a programming language and holds 70% job market trends over python and R which together hold 20% job market. SQL is a heart of storing and accessing the data and also filter data from data ocean. SQL mainly used to interact with the database. Microsoft and Oracle having own version of it but learn any one of these should be good as learning another language. 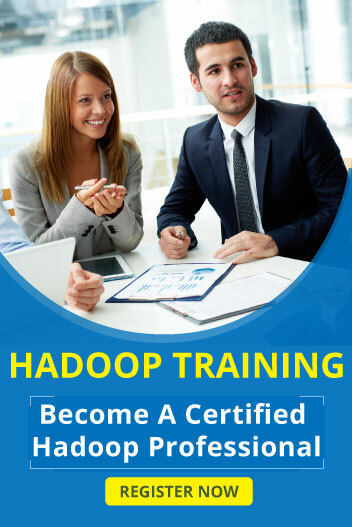 Above list of ten Hadoop programming languages is not meant to be exhaustive or the most comprehensive. While compiling the list, a beginner’s frame of mind is used as a reference point and we have tried to come up with a list that has ten elements which would give a beginner necessary depth and width required for developing big data.